ChemSpec, Ltd. represents Synthomer’s line of Lithene® liquid polybutadienes for the North American market. Synthomer is known globally for its aqueous polymers across many different manufacturing market segments. The Company’s headquarters is in London, UK. Synthomer’s manufacturing facility for their liquid polybutadienes is located in Stallingborough, UK. It produces these 100% active, highly unsaturated liquid polybutadienes in a range of molecular weights and micro-structures. These products provide enhanced quality and performance across a broad range of applications, including automotive sealants, mold release coatings and defoaming coating additives. In rubbers, they improve mixing and act as type II coagents. In addition, these polymers have very low VOC’s, excellent low temperature profiles, and can be cured thru vulcanization. The LitheneActiV 1000 product is non- hazardous, environmentally safe and reduces leaching versus basic process oils. ChemSpec’ s Marketing & Law Director, Chris Wagner, explains: “The benefits of using the LitheneActiV 1000 are obvious when reviewing Synthomer’s recent laboratory studies, and we look forward to presenting this product to our customers.” For more information on the full range of Synthomer’s Lithene product line and the company in general, contact our experienced customer service team at: 800.200.4753. ChemSpec, Ltd. is a Uniontown, Ohio-based chemical distribution firm. ChemSpec is subsidiary of Paris, France-based SAFIC-ALCAN. ChemSpec, Ltd. also has a Mexican subsidiary (ChemSpec MÉXICO). ChemSpec distributes specialty and commodity chemical additives and specialty polymers into the North American Elastomer mixing industry, as well as coatings, adhesive/sealant, inks,plastics and cosmetics compounding market segments. UNIONTOWN, OH— Monday, October 1, 2018 - CHEMSPEC, LTD. announces supplier company, ACE Products & Consulting, will have two symposium speakers at this year’s annual International Elastomer’s Conference in Louisville, Kentucky at the Kentucky International Convention Center. ACE Products provides specialty polymer additives and consulting to the silicone and organic rubber industries. ACE Products is an independent agent for multiple specialty raw material lines and has its own branded silicone dispersion line. At the International Elastomer Conference, Erick Sharp, ACE’s President, will be presenting on the topic “Advances in Synthetic Elastomers” with his session titled: “Evaluation of LPB Modified Silicone” on Tuesday, October 9, 2018 from 1:30pm – 2:00pm in Room M107 (Session D). On Thursday, October 11, 2018 from 1:00pm – 1:30pm in Room M111(Session B), Doug Foster, ACE’s Lab Manager, will be presenting on the topic “Plasticizers and Processing Promoters” with his session titled: “Evaluating Flow Property Improvements of Alumina Silicate Ceramic Spheres”. Also, stop-by ACE’s Booth #340 and visit Erick and Doug. Their combined technical expertise can provide solutions and discuss new ideas in the silicone compounding markets amongst other polymer compounding testing capabilities. Further, ChemSpec, Ltd and Performance Additives, Inc. have partnered to provide a customer/supplier hospitality event (a.k.a. 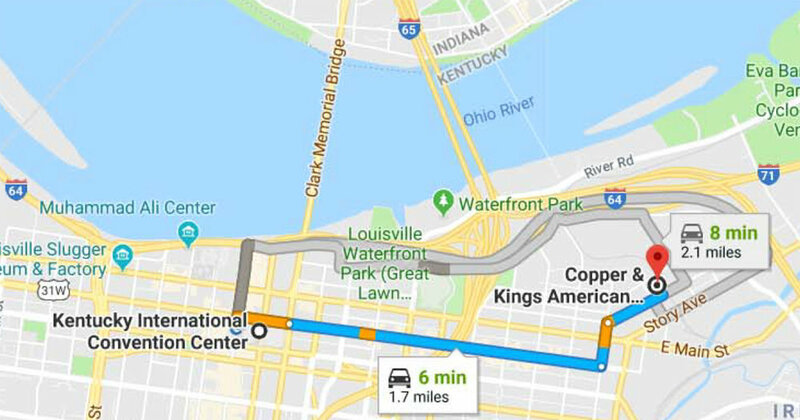 "after show" party) on Tuesday, October 9, from 6:30pm - 11:00pm at the Copper & Kings American Brandy brewery at 1121 E. Washington Street in Louisville, KY. The ChemSpec staff is preparing a fun night with food, drinks, fellowship and live band. ChemSpec, Ltd. is a Uniontown, Ohio-based management-owned chemical distribution firm. ChemSpec is a subsidiary of Paris, France-based Safic-Alcan. ChemSpec, Ltd. also has a Mexican subsidiary (ChemSpec MÉXICO). ChemSpec distributes specialty and commodity chemical additives and specialty polymers into the North American elastomer mixing industry, as well as coatings, adhesive/sealant, inks, plastics and cosmetics compounding market segments. All of ChemSpec’s products are competitively priced and backed by a customer service support team that is unparalleled in the industry. This year's annual International Elastomer Conference at the Kentucky International Convention Center from October 9 - 11, 2018 is a perfect time for ChemSpec's sales team to engage customers and suppliers with our annual "After-Show Party". The ChemSpec and Performance Additives teams invite everyone to have a "good ole time" with us at Copper and Kings American Brandy Distillery, 1121 E. Washington Street, Louisville, KY on Tuesday, October 9 2018 from 6:30pm - 11:00pm. We will have food, drinks and a live band. Please RSVP by 10.01.2018 to Hanah Moreland at hmoreland@chemspecltd.com. Lucas & Hanah Moreland from ChemSpec, Ltd.
UNIONTOWN, OH – June 29, 2018 – Recently, ChemSpec’s Key Account Manager, Lucas Moreland attended the 2018 Summer Technical Meeting for Southern Rubber Group (SRG). Lucas is currently serving as Chairperson for the 2018 Board of Directors. The SRG is a group of professionals in the elastomer industry who work together to develop new technologies, connect companies, and help the next generation with a scholarship fund. The group meets twice a year in the southern Georgia/South Carolina area. At each technical meeting, there are keynote speakers along with exhibitors helping companies reach their full potential with key product knowledge and industry updates. For more information on SRG and how it can help your company grow professionally in the southeast United States rubber markets, contact Lucas Moreland at lucasm@chemspecltd.com. ChemSpec, Ltd. is a Uniontown, Ohio-based management-owned chemical distribution firm. ChemSpec is a subsidiary of Paris, France-based SAFIC-ALCAN. ChemSpec also has a Mexican subsidiary (ChemSpec MÉXICO). ChemSpec distributes specialty and commodity chemical additives and specialty polymers into the North American elastomer mixing industry, as well as coatings, adhesive/sealant, inks, plastics and cosmetics compounding market segments. All ChemSpec’s products are competitively priced and backed by a customer service support team that is unparalleled in the industry. UNIONTOWN, OH – June 28, 2018 - ChemSpec, Ltd. attended the 2018 Silicone Elastomers US Summit on June 27 – 28, 2018 at the Marriott Downtown Key Center in Cleveland, Ohio. Their coordination efforts also brought two keynote speakers for today’s summit with Erick Sharp, President and CEO of ACE Products & Consulting LLC and Bill Black, Sales Engineer for Spherix® Mineral Products. Erick presented on the evaluation of chemical dispersions in HCR silicone compounding and how a multi-factor, general factorial designed experiment was performed to investigate the processing of HCR silicone molding and extrusion compounds with silicone bound chemical dispersions. The factors selected for experiments are material form and type of chemical additives. This study measured dependent variables of rheological properties, physical properties, dispersion and downstream processability. Bill presented on their product Dispersix™ - aluminosilicate ceramic microspheres and their use as performance additives in silicone. Bill discussed how an aluminosilicate ceramic microsphere was engineered to be a performance additive for silicone elastomers with a focus on how the additive was developed and how it enhances the properties of silicone elastomers. For more information on ACE Products & Consulting LLC and Spherix Mineral Products contact our dedicated customer service team at: 800.200.4753 or visit our website at: www.chemspecadditives.com. ARE YOU CONFIDENT IN YOUR MAGNESIUM OXIDE/HYDROXIDE SOURCE? So, do you currently use magnesium oxide (MgO) or magnesium hydroxide (Mg(OH)2)? How much do you know about where it comes from and how it’s made? Most users are content with their one supplier because it just works. But what if that supply chain is interrupted? Are you ready—and more importantly—able to make a switch? Do you have a second source? Many chemicals can be “drop-in” replacements for each other. But Magnesia products are different: each one typically reacts at least somewhat differently when compared to other similar products in compounding applications. And if you find two magnesia products that work exactly the same but come from different suppliers, there is a chance that it is coming from the same production source and the distributors are just using different trade names for the same product! “Our sales team brings a wealth of knowledge to our customers in both operations and logistics” explains Anthony Mariniello, ChemSpec’s Technical Sales Manager for Magnesia-based chemistry. Our experience in the market has been to supply magnesia products to customers and help them understand the overall supply chain and how to better use these products technically across various compounding industries (rubber, thermoplastics, adhesives, etc.). We help advise from point of production to end-users, helping demystify the nuances of the various ways to make magnesia, and teaching our customers why they perform differently. Consequently, we show how a customer can adapt their process to various magnesias and optimize production. 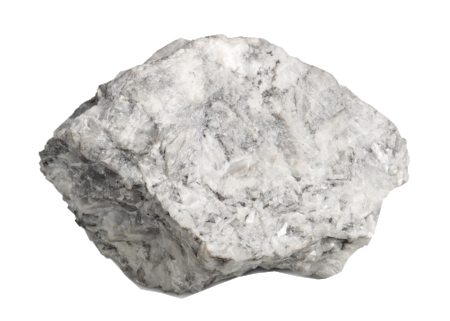 Furthermore, we offer various types of magnesia products, and represent one of only two major producers of Magnesium Oxide in North America. If you are interested in finding-out more about the magnesia market and are looking to ensure you truly have at least two sources, talk to our experienced customer service and sales teams, who are readily available to assist your questions. We are here to supply you and your company with the resources needed to keep you in production, in case of unforeseen disruptions in supply. ChemSpec, Ltd. is a Uniontown, Ohio-based chemical distribution firm. ChemSpec is subsidiary of Paris, France-based Safic-Alcan. ChemSpec, Ltd. also has a Mexican subsidiary (ChemSpec MÉXICO). ChemSpec distributes specialty and commodity chemical additives and specialty polymers into the North American elastomer mixing industry, as well as coatings, adhesive/sealant, inks, plastics, waxes, functional fillers, and cosmetics market segments. UNIONTOWN, OH - Effective immediately, ChemSpec will streamline its brand names for the Safic-Alcan specialty chemical products. Partners will see these new brand names for current products on sales orders, invoices, and packaging. ChemSpec is also affirming the branding changes are only a change to product name and does not affect the production source, product chemistry, or the manufacturing process. The change is in brand name only. In addition, ChemSpec has reported that partners will not immediately see a name change on the product itself. This will occur on a rolling basis; meaning, once current inventories under the old name are depleted, newly arriving product will begin listing these new brand names sometime during Q2-2018. If you have any questions, please don’t hesitate to contact your ChemSpec Account Manager, or their experienced customer service team at 800.200.4753 (Monday - Friday 8am - 4:30pm). FOR IMMEDIATE RELEASE: UNIONTOWN, OH— Wednesday, April 25, 2018 - CHEMSPEC, LTD. announces exhibiting at the Rubber Division’s American Chemical Society’s 193rd Technical Meeting from May 8 – 10, 2018 in Indianapolis, Indiana. The American Chemical Society’s Rubber Division has an outstanding technical program for this Spring 2018. ChemSpec will be exhibiting at the technical meeting at Booth #18 with their very own Technical Sales Manager, Anthony Mariniello. Anthony is also the Marketing Chairperson for ACS’s Rubber Division. Anthony will be available for any technical questions or support for rubber market needs. The technical meeting will be held at the Hyatt Regency Hotel, 1 S. Capitol Avenue, Indianapolis, IN 46204. Keynote Address: Simulation of tire and tire/vehicle performance – what’s in it for materials folks? UNIONTOWN, OH— Tuesday, April 10, 2018 - ChemSpec, LTD. announces Hoffman Mineral’s Dr. Reimund Pieter as a technical speaker at the 2018 International Silicone Conference, April 10 – 11, at the Sheraton Suites in Cuyahoga Falls, Ohio. Founded in 1891 the Hoffmann group is now owned by the 4th generation of the same family and is a German manufacturer of Neuburg siliceous earth, a mineral functional filler, being a mixture of kaolinite and silica, used for elastomer compounding. Trade names are SILLITIN, SILLIKOLLOID, AKTISIL, SILFIT, AKTIFIT. Dr. Reimund Pieter studied chemistry at the German universities of Giessen (diploma) and Bonn (thesis). He joined Degussa AG in 1986. Pieter has been Area Sales Manager at the Hoffmann Mineral GmbH since 2007. 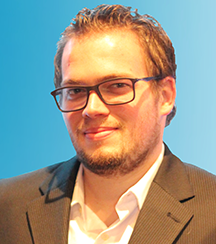 Dr. Pieter will be speaking on Wednesday, April 11, 2018 from 9:00am – 9:30am on “How to Boost Silicone Rubber Compounds”. His presentation will cover how combining quartz flour or ATH with Aktisil Q improves mechanical properties as well as processing without increasing compound cost. Since Aktisil Q is a surface-treated variety of Neuburg Siliceous Earth one would expect increased compound cost, but calculations show that this is not the case. ChemSpec encourages customers to attend Dr. Pieter’s technical presentation and to stop by our booth #13 at the conference. The 2018 International Silicone Conference is held at the Sheraton Suites Akron, 1989 Front Street, Cuyahoga Falls, Ohio 44221. For more information on Hoffman Mineral Products, visit ChemSpec’s webstie at: www.chemspecltd.com or contact our experienced customer service staff at: 800.200.4753 (Mon. – Fri. 8:30am – 4:30pm EST). UNIONTOWN, OH - Monday, April 9, 2018 - ChemSpec, Ltd. announces they will be exhibiting at the 2018 International Silicone Conference located in Cuyahoga Falls, Ohio from April 10 - 11, 2018. ChemSpec will be exhibiting a shared booth with Spherix Mineral Products at Booth #13. ChemSpec encourages their customers to stop at their booth to learn more about their suppliers and the Spherix Mineral products. Both companies will have their technical sales teams available for any discussions. Erick Sharp has been working in the silicone and rubber industry for fifteen years. During that time he has held a number of key roles within Lauren International, Edgetech UK and Portage Precision Polymers. Sharp managed the startup of three silicone compounding operations globally. In 2015, he launched ACE Products & Consulting LLC; which provides quality silicone raw materials and expert consulting to the silicone and rubber industries. Sharp has a degree in Industrial Engineering. Erick will be speaking on Wednesday, April 11, 2018 from 9:30am – 10:00am on evaluation of reclaimed silicone polymer in HCR silicone compounds. The factors evaluated in this experiment include part level of reclaim and types of formulations. Erick will also discuss measured variables in his study containing rheology properties, physical properties, and processability. ChemSpec encourages customers to attend Erick’s technical presentation and to stop by our booth #13 at the conference. The 2018 International Silicone Conference is held at the Sheraton Suites Akron, 1989 Front Street, Cuyahoga Falls, Ohio 44221. For more information on ACE Products & Consulting, visit ChemSpec’s website at: www.chemspecltd.com or contact our experienced customer service staff at: 800.200.4753 (Mon. – Fri. 8:30am – 4:30pm EST). ChemSpec Solutions - VULCOFAC® ACT55 - A Proven Winner! Safic-Alcan’s VULCOFAC ACT55 is a product solution for an accelerator crosslinker without the harmful carcinogen guanidine. It is a tertiary amine complex absorbed on a silica carrier (70% tertiary amine complex and 30% amorphous silica). The VULCOFAC ACT55 acts as a powerful Lewis base with a high catalytic effect. It was originally developed for use in ethylene acrylate copolymers with acidic pending groups. It activates the reaction between acidic groups and diamine crosslinkers. Safic-Alcan has established ACT55 to be REACH compliant and ChemSpec is the exclusive distributor for the North American market. In addition, VULCOFAC ACT55 can be used as an accelerator in combination with a primary diamine to cure AEM and ACM terpolymers (with some compound adjustments necessary to meet their property compounds based on DOTG). “Our customers have a great advantage using the VULCOFAC ACT55 as it significantly improves heat aging and enhances their REACH portfolio. ” explains Dave Moreland, President & CEO of ChemSpec, Ltd.
For more information on our product lines, visit our website at: ChemSpecadditives.com., or contact our experienced customer service team at: 800.200.4753. The enclosed videos bring a solutions perspective for customers utilizing VULCOFAC® REC MB80 (80% actively dispersed evenly into an EPDM compound). VULCOFAC REC MB80 is a retarder used to improve the processing safety of compounding by prolonging flow times at cure temperatures. It is an excellent anti-scorching agent for natural rubber and synthetic rubber, especially for EPDM, NBR, and HNBR. It is presented as a masterbatch on an EPDM binder for improved handling, absorption, and dispersion in a rubber mix. “I am confident our in-house videos will be an important tool in helping our customers find a solution to a problem. The progress our sales and marketing teams are making in efforts to enhance our customer relationships is outstanding.” explains Dave Moreland, President & CEO of ChemSpec, Ltd.
ChemSpec created two educational videos detailing the loading of VULCOFAC’s REC MB80 into a 70 EPDM at 10PHR and 50 EPDM at 40PHR.